Getting very slow download speeds too. 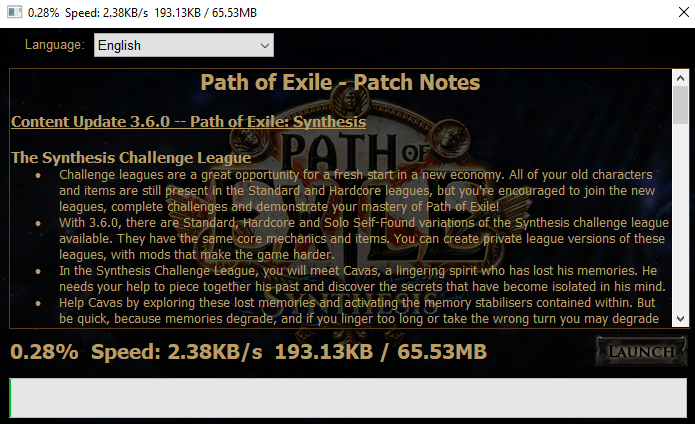 I cannot download the patch as well. 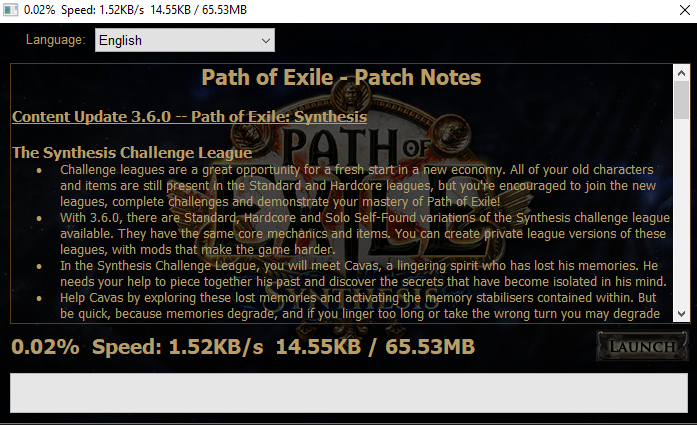 is there a separate patch download which we can put in the folder manually? I have been trying to downlaod the patch from 4pm till now 6.36pm. still not able to download it. keep having error msg and the speed is slowwwwwwwwwwwwwwwwwww. I'm able to download now using a VPN. hello why is not going to put new maps into stash tabs it was also like that there were maps made they were underlined now that there is no best regards.